Two-time Olympian and Sochi silver medallist Valérie Maltais is one of five athletes selected to Canada's roller sport team for the Pan Am Games in Toronto. 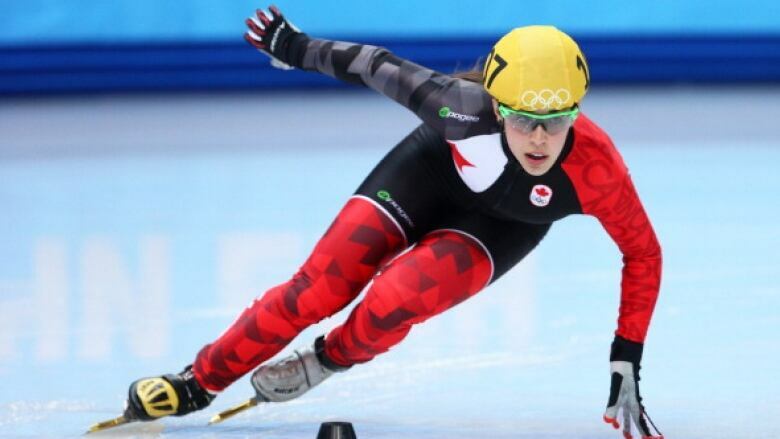 Two-time Olympian and Sochi silver medallist Valerie Maltais will trade in her ice skates for inline skates as a member of Canada's roller sport team for the Pan Am Games in Toronto. The 24-year-old is one of five athletes selected to the team. The Canadian Olympic Committee and Roller Sports Canada selected four of the country's best to compete in speed skating and one to represent the host nation in figure skating. Maltais, of Saguenay, Que., raced to a silver medal in short track speed skating in the 2014 Winter Olympics. ​"My teammates and I have been working so hard to get to this point and to know that we will represent Canada on home soil at an international event of this calibre is an honour," Maltais said. "We will do everything we can to make you proud this summer." Maltais is the second short track speed skating medallist to represent the country at the Pan Am Games in roller skating. At the 1999 games in Winnipeg, five-time Olympic medallist Cindy Klassen also joined the roller sport team. The lone member of the figure skating team is Whitby's Kailah Macri, who has competed in seven world championships for Canada and had a fifth place finish the Pan Am Games in Guadalajara, Mexico in 2011.